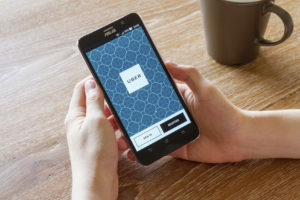 Many studies over the past few years since Uber’s emergence have shown that the ridesharing service is doing quite well – possibly even reducing the likelihood of accidents. People who would have otherwise gotten behind the wheel of a car drunk are now choosing Uber to take them where they need to go. Of course, there are many scenarios, but this is an important issue to address in times where the likelihood of drunk driving always seems to be skyrocketing. You may or may not have known, but Uber has an insurance policy to cover both drivers and passengers in the event of an accident. This is important to understand in the event that you are injured in one of these unsightly accidents, as accidents can strike at any time. Coverage sometimes hits $50,000 per injury if the driver’s personal insurance will not cover the issue. One of the most vital aspects that you must understand in these cases is that Uber employees are not actually “employees” but, rather, third-party providers. This means that a company is not technically liable for the actions of the contractor. So, even though insurance may be effective for covering your injuries, you may not be able to sue the company for extra damages. The best step that you can take in one of these cases is to gather as much evidence as possible to prove your claim. Determining fault in one of these crashes, whether you were a passenger or a pedestrian who was injured, depends on how much evidence you are able to collect against the party. These accidents are almost like any other car accident in many ways. Call us today to discuss your claim so that we can help you get the most out of your case as well as the compensation to cover your injuries.